Get Maps for PC and Mac and iOS! 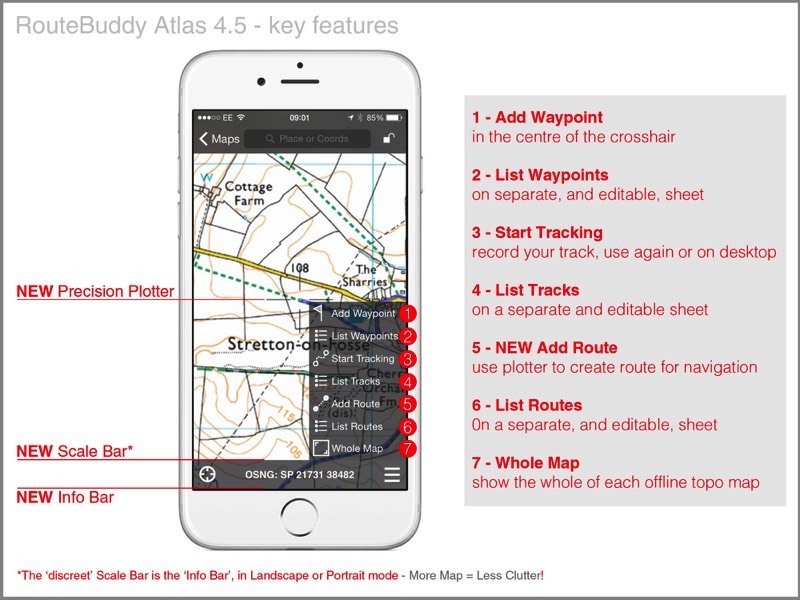 YOUR Advantage: Plan Routes with More Tools AND Better Tools than any webmap solutions can. Choose to mix maps, mix paper sizes, mix zoom scales - easy! With maps from the RouteBuddy Store. Nothing competes with planning on a large map on your computer screen. Learn more about RouteBuddy here. Quickly and Easily file your GeoData in nestable folders with fast filter search in RouteBuddy. Fast backup of your valuable data in Atlas with RouteBuddy on your Mac or PC. Learn how in our manuals.